My Wife is the Student Council President! 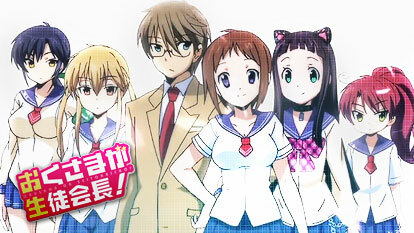 The story begins with Izumi Hayato running to be student body president. But when a beautiful girl swings in promising the liberalization of love while flinging condoms into the audience, he ends up losing to her and becoming the vice president. At the student council meeting, the newly-elected president invites herself over to Izumi's house, where she promptly announces she is to become Izumi's wife thanks to an agreement facilitated by alcohol made between their parents when they were only 3.